Graze the Roof: We LOVE worms! Worm Bins for Urban Dwellers. 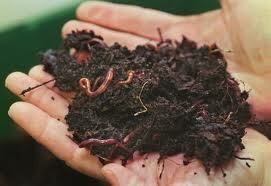 Did you know, if you compost the scraps from your kitchen using a worm bin, you can create the world’s greatest all in one fertilizer-plant-food-and-pest-deterrent known to mankind? If you’re on a budget, like to be resourceful and are wondering how to reinforce your organic matter without manure, kelp or other expensive mediums, then VERMI-LOVE is just the workshop for you! In this in-depth 2 hour workshop, Booka Alon guides you through the process of creating a 2-bin, worm system with readily available materials such as newspaper, rubber tubs and a drill. It’s easier than you think you to maintain a balanced, happy home for the voraciously hungry Red Wrigglers. Aside from the basics of worm bin startups, Alon will also lead a casting harvesting session. 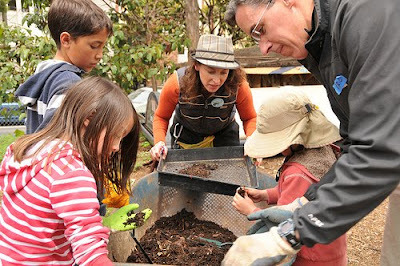 From 4 years of vermicomposting practice, Alon will teach some tried and true techniques in gleaning the most castings, while sorting worms methodically and efficiently, so they can return to the worm bin for more rounds of eating your garbage. LOCATION: Graze the Roof the rooftop of 330 Ellis St.